The main source of inspiration for hair trends 2016 for the majority of us are the celebrities we love - from actresses, to pop stars and top models. To understand what popular hairstyles for summer to choose let´s consider the celebs look. As tendencies have it the natural looks should be the main aim to follow. Choose for summer hairstyles the right hair color in first place. It can be some subtle sunkissed blonde with warm caramel highlights.However if you are natural brunette, you don´t have to go for fair colors for summer. Just make sure to have healthy and glossy tresses and to get summer looks add some thin highlights or babylights. On the other hand, the solid deep brown hair colors will also look magnificent in the sunlight. 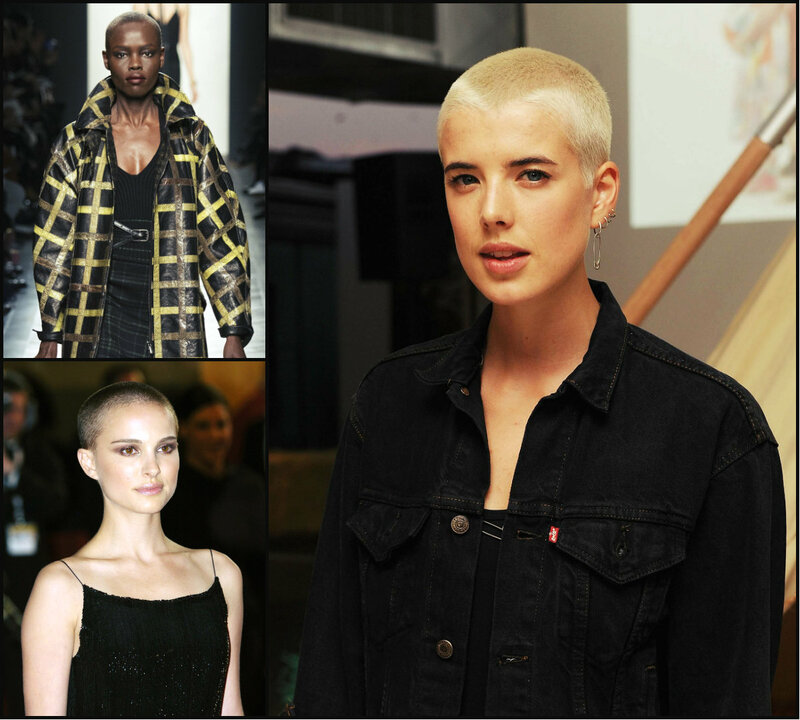 If you have always looked at men wishing you could adopt their short cuts, then it is time to go for women quiff hairstyles, daring and extravagant, yet remaining feminine and cute. Truly quiffs are mostly meant for men. 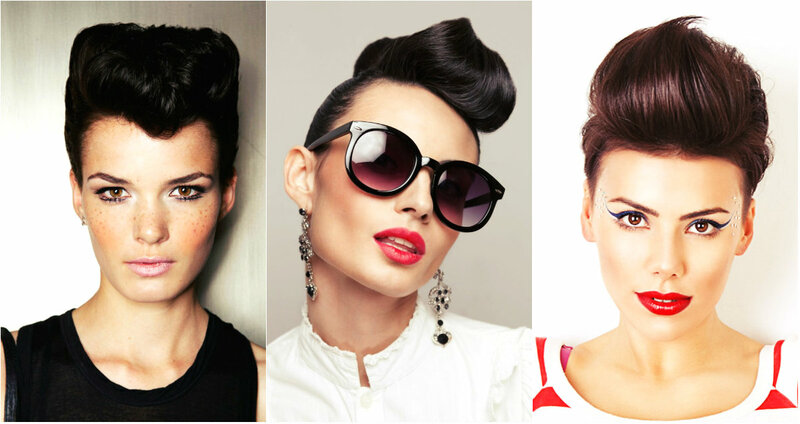 They originate form bouffant hairstyles, then we had the epoch of Rockabilly styles, and now that we seek for simplicity and authenticity in looks we have arrived to quiff hairstyles for women that can be designed, by the way, both on short and long tresses. The good thing about quiffs is that they totally change the way you look. I mean you will start to feel different. More independent and more aggressive, a bit manly in a way. Annually CFDA Fashion Awards hosts the most popular people with their unbelievable celebrity hairstyles and looks. The events chooses among all the designers the most notorious contributions to the world of fashion, be it women's outfit or men's, make up or hairstyles, even journalist dedicated to fashion win awards here. I have to mention that this show is mainly attended by models of the current times. Even though we spot singers and actors as well, it is mainly about designers and their beloved catwalkers. In this very place seems to gather all the fashion industry, the ones who not only set the trends with their looks, but the ones who create the looks to define the tendencies. In the world when everybody around is talking about long hairstyles, gorgeous manes and spectacular tresses, it´s hard to go by the hair trends 2016 and choose some extravagant look that will contradict all the established rules and laws. But once you dare do it, you can go for the unbelievable buzz cut hairstyles for women. Yes! Extremely short, almost shaved haircuts that will take your image to an all new level. No doubt, not everyone can take such a risk, there are several aspect to take into account like face shape. The very short hairstyles will fit those with perfect oval face shape in first place. The round and square faces are quite specific and you will really take a risk daring to opt a short buzz cut. Now that we see the fuss around celebrity hairstyles at Cannes 2016 to have calmed down, we can get back into a recent past to have a look at some gorgeous celebrity looks at SAG Awards 2016. Actually it the Sag awards that obliged celebrities to opt for elegant looks thus establishing the major elegancy trend for all the next event in fashion world. Screen Actors Guild Awards introduced us a red carpet full of the most amazing celebrity looks the majority of which go on with the same looks until now, and i am sure that very bob cuts will be popular for several season more. Doubtless this inspirational gallery can be your guide on the way to find the best loo for yourself. After the delicate Cannes Festival, it is time to spice up looks with Billboards Music Awards 2016 celebrity hairstyles and appearances, that for sure are much more daring and extravagant than those at the French Riviera. On the whole music events usually are full of artists that can relax and wear the looks they like, crazy dresses, unbelievable make up and extraordinary haircuts. However. hair trends 2016 set long before sport natural looks, that is why this year all the events are full of natural looking celebrities, with trendy mid-parts and bob haircuts and authentic hair colors. Annual Met Gala took place this year as all the years before hosting the top artists with their celebrity hairstyles and dresses. This time the theme was Manus X Machine, so imagine the celebrity choice of dresses and make up and hair designs. It was all about some robotic looks, and the prevailing color in dresses was silver metallic, that converted artists into somewhat of machines. Anyways, no matter what everybody managed to look great and step on the red carpet with the best possible looks. Of course there were some strange outfits, like that of Madonna, but today we will glance back at the best celebrity looks . Met Gala event hosts too many A-list people from different spheres of show business, from models to singers to actors, and all of them are worthy our attention, so let's have a look at the best celebrity hairstyles form Met Gala 2016.